Are you looking for the best IELTS books to help prepare you for the test and boost your score? Look no further. Here are our list and reviews of the Top 10 best IELTS preparation and practice books for 2018 to 2019. Although any of these recommended IELTS study guides would be a good choice, see for yourself which guide meets your particular needs best. Designed and published by the actual makers of the IELTS exam, The Official Cambridge Guide to IELTS (for academic and general training) is a must-buy for ambitious test-takers. Built based on research and analysis of actual test-takers’ responses – and their mistakes! – the Official Guide aims to teach students everything they need to know in order to score high on either the General Training or Academic Modules. Following an introduction to the exam, this IELTS practice book tackles all four skills of the test (Listening, Reading, Writing, Speaking) in separate sections, which are in turn divided in four to eight smaller units. Each unit focuses on a skill’s specific key aspect, providing helpful explanations and practice as you go along. What we found particularly helpful is how the guide approaches a problem from the test-taker’s perspective, explaining how specific types of tasks or questions should be tackled and pointing out strategies on how to improve one’s performance. Importantly, the guide’s second half consists of eight full-length official IELTS practice tests. Each test has a detailed answer key with explanations. The guide also comes with a DVD that includes the book’s listening portions as MP3 audio tracks as well as speaking test videos. In short, this official test prep bible is for good reason regarded as the definitive IELTS book. Barron’s Superpack offers three manuals well organized into a nicely-presented outer box. The set includes the fundamental IELTS manual with MP3 CD, the IELTS Practice Exams book with two audio CDs, the IELTS Strategies and Tips booklet with MP3 CD, and finally the Essential Words for the IELTS guide. 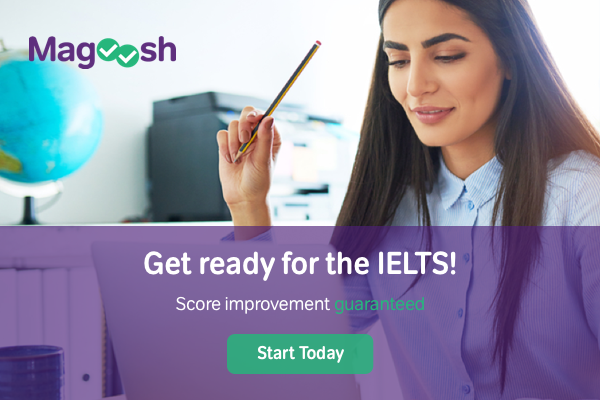 The IELTS manual offers a comprehensive overview of the test, details each section of the test, and offers a plethora of useful strategies, tips, and techniques for each of the four sections. It also provides sample exercises with answers, allowing a test taker to slowly build up the skills necessary for ultimately completing the sample practice exams which are also part of the set. A stand-out feature of Barron’s Superpack set is surely the IELTS Essential Words manual. Not only does it help with word usage, but through the provided reading and listening sample practice exercises, the Essential Words manual also enables test-takers to easily expand their vocabulary simply through completion of the exercises: No added learning necessary. The set also includes various audio and MP3 CDs, which are useful for the listening section of the test, although the accents on the CDs are American, while the accents of the speakers on the actual test may be British, Australian, or otherwise non-American. All in all, however, the Barron’s IELTS Superpack is an excellent and valuable set of materials. Written by a former IELTS test-taker herself, Simone Braverman’s Target Band 7 is an easy-to-use and easy-to-understand strategic guide to the Academic IELTS. This popular prep book’s overarching goal is to help test-takers reduce the time that it takes to solve typical problems and assist them in avoiding common mistakes. Providing useful tips for content and for techniques, Braverman tackles each of the four sections of the IELTS with concise and helpful advice. Of particular note are the sample exercises provided in the book as well as the materials dealing with topic construction. In addition, one of the most appealing characteristics of this prep book is the clear language and personable writing style that Braverman uses, thereby ensuring comprehension of the multitude of useful techniques she offers for conquering every section of the test. Finally, as an added bonus, the book also features a detailed study plan. While the book does not offer full length sample IELTS tests, an audio CD, or answers to all of the sample questions that are provided, there are links to relevant IELTS resources. Moreover, the author’s website provides numerous helpful IELTS practice resources. Target Band 7 offers a highly effective and easily digestible guide to the IELTS. As such, this is highly recommended as one of the best IELTS books currently on the market. The Cambridge IELTS 12 Self-Study Pack is a bundle that includes the latest Cambridge IELTS Student’s Book with Answers and a set of accompanying Audio CDs. In addition to the previous examination materials contained in this set, the Student Book provides the answers to the exams as well as includes additional materials for the Reading and Writing modules. As an added bonus, the Pack also comes complete with audio CDs that contain the listening tests material and provides access to downloadable audio portions. While the Pack does not provide assistance with strategies/techniques for writing the IELTS or in-depth explanations for the answers to the exam materials, its provision of a comprehensive set of exam materials makes it an excellent complement to other IELTS preparation manuals. The key to conquering the IELTS is not only mastering the substantive sections of the test but also mastering how to write the test. For focused in-depth strategy preparation, this is likely the best IELTS book. Containing six full practice tests as well as additional coverage of the reading and writing modules, this study guide also contains a full description of the exam and strategy boxes for honing skills for each of the modules. It also provides an annotated answer key that analyzes both correct and incorrect answers: you will never wonder again why you got a particular answer right or wrong! Another outstanding feature are the sample answers to writing tasks that it contains, providing concise explanations as to why the writing is good or bad. The book further provides guidance with grammar and vocabulary as well as audio scripts to help with the listening module. Best of all, the book is easy to understand and very user-friendly. A definite must-buy! Would you like your own personal guide for the IELTS test? If so, look no further than the IELTS Trainer as one of the top IELTS practice books. This prep book provides full guidance and step-by-step advice on how to handle each and every section of two complete practice tests. Moreover, it also provides four additional practice tests allowing test-takers to use and employ the skills they have learned from their personal tour. A further interesting feature of this book is the provision of actual candidates’ exam papers, enabling prospective test-takers to focus on issues where students have typically struggled the most. Adding to the book’s features are its provision of answers to all the practice tests, model answers for the Writing module – including an explanatory key – and audio CDs with the IELTS’ listening activities. All in all, this book is an outstanding comprehensive test preparation tool. For those focusing on the IELTS General Module, this book is a must have. Focusing both on substance and strategy, Simone Braverman’s second book comprehensively covers every module of the test and, even more importantly, provides unique techniques and tips for conquering the actual taking of the test as well. Written in simple and easy-to-understand language, this book is designed to efficiently and effectively improve IELTS General Module scores. Now in its third edition (2015), Ace the IELTS even contains a full-length IELTS sample test. It also provides links to online practice tests where the skills learned from this book can be further practiced. Already used and trusted by countless previous test-takers, this is a simple yet effective book for the IELTS General Module. Looking to get a 6.5 band or higher on the Writing module? Then this is the book for you. Often a neglected part of general IELTS test preparation books, the Writing module can be one of the most difficult aspects of the test for some test-takers. In this way the IELTS Advantage: Writing Skills book is unique in that it directly focuses on this aspect of the test. Providing techniques for organizing and structuring Task 1 and 2 essays, this book provides model essays as well as general interest articles for each unit. It also helps develop and improve academic vocabulary collections and provides grammar exercises, which enable test takers to apply a variety of grammar items. A key feature of this book is the provision of actual writing samples that have been generated by previous test-takers and are commented upon by examiners. This provides concrete examples and explanations as to what is necessary to reach a high band for the Writing module. In sum, this guide is an excellent tool. Although it is narrow in scope, it remains one of the best IELTS books for advancing the writing skills that are necessary to ace the test. Another book targeting the Writing module of the IELTS, this test study guide provides step-by-step guidance on mastering this section of the test. IELTS Writing Section (Academic): How to Achieve A Target 8 Score is ideal for highly ambitious students. The guide aims to break down writing samples into concrete parts as a means of explaining how to write in a high scoring method. The book also helps test-takers identify different question types and match corresponding answer structures to these question types, draft effective introductions to essays, and even draft high scoring phrases. Furthermore, it provides model essays, sample practice questions, and useful IELTS practice links. Written in a no-nonsense, easy-to-understand style, this is a simple yet concrete tool for understanding how to perform well in the Writing module. In all the modules of the IELTS, a strong command of English vocabulary is essential. One way for test takers to improve their vocabulary is with Barron’s Essential Words for the IELTS. Rounding out this IELTS preparation book’s features are vocabulary expanding exercises as well as listening comprehension exercises that can be found on the accompanying MP3 CD, which has been added in the books latest 2014 edition. The British Council website contains a host of free practice tests and guidance, along with listening materials, videos to help with the speaking section of the test, and even a free Android app which is aimed at improving vocabulary. All of the resources on the site are trustworthy and useful. IELTS Buddy is a highly useful free resource, providing help for all sections of the test. It focuses particularly on the writing and grammar sections, and offers practice tests, model answers, and advice with writing and structuring essays. This handy resource is run by a former IELTS examiner, so it carries a certain credibility. It’s packed with a ton of past exam questions, general advice for the test, and practice exercises, and it’s all completely free.